Corporate Management, one of the sub-disciplines of Business Administration, mainly focuses on the research and studies related to modern production and marketing, technology, economy, and social development. This specialty obtained the authority of granting master’s degree in 1996. Currently it has 6 research centers, including Development Institute of Tongji University, Complicated System Simulation Laboratory of Tongji University, China Enterprise Development Research Center, Global Innovation and China Entrepreneurship Institute, Marketing Institute, as well as Organization and Human Resources Institute. Now, this specialty has become a comprehensive research platform for major projects of the Ministry of Science and Technology, a training base for enterprise management talents, and an evaluation and consultant service center for major domestic public engineering projects and entrepreneurial projects of Fortune 500 companies both at home and abroad. 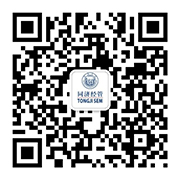 In virtue of Tongji University’s solid science background, it has made great achievements in modern enterprise management, especially in terms of automobile manufacturing enterprises, sales enterprises, construction companies, real estate development and management enterprises. Over the years, many outstanding enterprise management talents are cultivated for all walks of life, making great contributions to economic development and social progress.